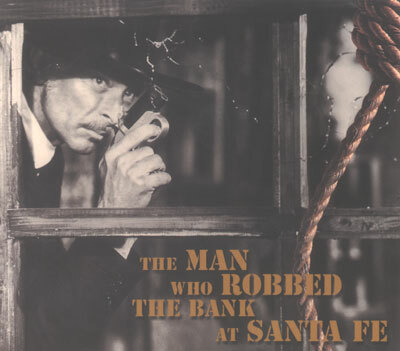 Building on collections like Rio Bravo and Wand'rin Star, The Man Who Robbed The Bank At Santa Fe explores some of the less common, harder to find Western songs recorded in the heyday of the Western genre. Many of these songs were popular in European markets at the height of the Cold War, as the liner notes vouch. There are even some thumbnails of your favorite Westerns with German subtitling inside! These albums are themselves high quality imports from Germany, where these old songs have been lovingly restored. They didn't sound this good even on a new LP.